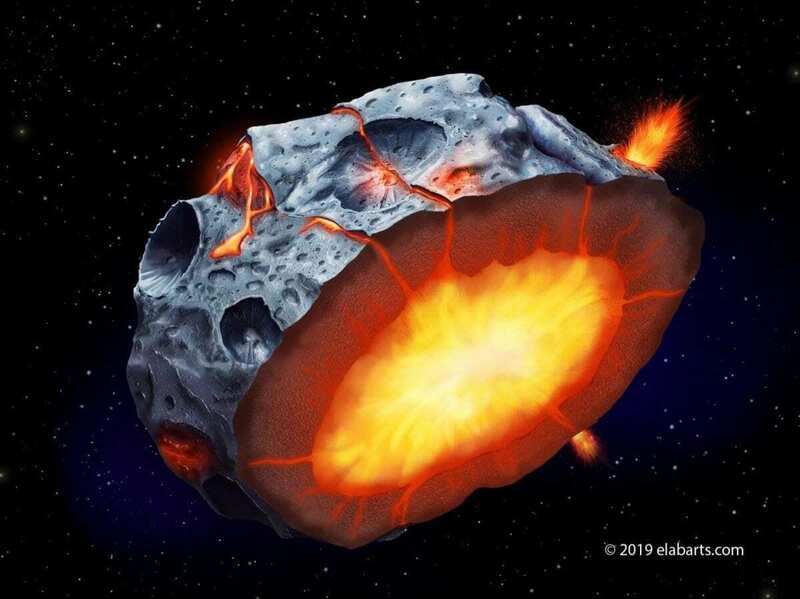 As if that’s not strange enough, scientists now think that as the metal cooled and solidified, volcanoes spewing liquid iron could have erupted through a solid iron crust onto the surface of the asteroid. NASA’s Psyche mission is scheduled to launch in 2022 and reach the asteroid in 2026. Signs of past volcanism that researchers could look for include variations in the color or composition of material on the surface, and possibly features that look like volcanic vents. Large volcanic cones are probably unlikely, Abrahams said. Unfortunately, because metallic asteroids would have solidified fairly quickly after their formation, there has been plenty of time (billions of years) for any surface features of volcanism to be degraded. “It’s not clear what they might look like now,” Abrahams said.